There are no rock solid rules when it comes to home decorating; like anything, it’s a very subjective field and each person’s individual taste is no less valuable than another’s. There are however some general guidelines which you can use to ensure that you don’t find yourself revisiting one of many classic home decorating mistakes. Lighting is by far one of the most undervalued resources in your interior design arsenal. Many think of lighting as a more of an afterthought than an actual decorating choice, but they’re sorely mistaken. Think about the masterworks of classic and contemporary cinema: what makes them look so good? Obviously cinematography is central. But without proper lighting, films would never be capable of evoking the mood they manage to achieve. And the lighting in your home is no different. Using a mixture of natural light as well as ambient, accent and task lighting will allow you to sculpt a warmth and atmosphere that simply could not be achieved through a basic, unplanned lighting scheme. Choice of colour is perhaps one of the most subjective aspects of home décor, but that doesn’t mean that there are no fall-back rules to consider. 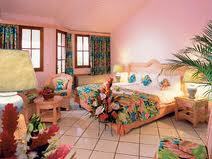 In general, overly-bright coloured furnishings don’t create a relaxed atmosphere. Of course, you don’t need to rely solely on bland or neutral colour schemes. But instead of choosing garish wallpaper designs for example, try some alternative yet tasteful Arthouse colours from a company such as Wallpaper Sales. Everybody loves a bargain. But there is a distinct difference between cheap furnishings and inexpensive ones. So many people make the mistake of going for the cheapest couch or bed, thinking that they’ve got a great deal. Sure, it may seem like a great deal at the time, but it certainly won’t do, when you’ve had to replace those furnishings in only a couple of years. There are bargains to be had, but on the whole, you’ll get what you pay for. So pay for quality, even if it means saving a little extra before making your purchase. Home décor is in many ways a matter of personal taste. But regardless, nobody is likely to feel at home with flat lighting, garish colour schemes and poor-quality furnishings. Heed the advice given here, and you’ll never have to make this classic mistakes yourself.